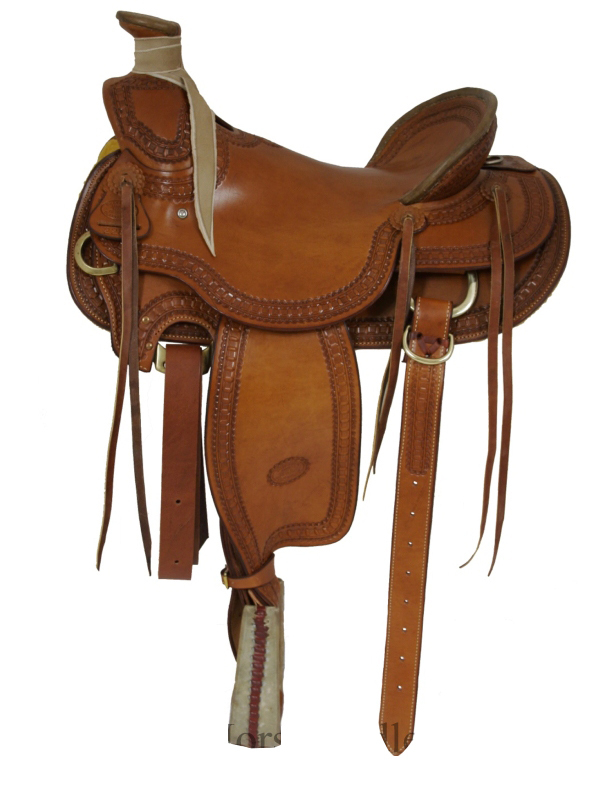 What is a Wade mule saddle? A “Wade” is a style of fork in a saddle tree. A “mule” is a cross between and Jack (male donkey) and a mare (female horse). A Wade mule saddle, then, is a saddle with a tree that has a Wade fork, and bars designed to better fit a mule than a horse. Below are Wade mule saddles for sale. Below: Two mules with saddles. In the past we’ve found very few Wade mule saddles on eBay. But their listings change daily so one could show up any time. If you’d like to check, you can use the link below. When we’ve visited StateLineTack we haven’t noticed them carrying Wade mule saddles. 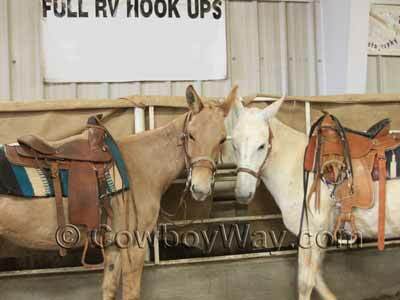 Mule saddles, yes, but not Wade mule saddles. However, things change, and if you’d like to check with them you can use the link below. Below is a photo of a donkey (burro) wearing a slick fork saddle. A mule is a cross between a male donkey and a female horse. A mule often benefits with a saddle built for its conformation as opposed to a horse’s conformation. 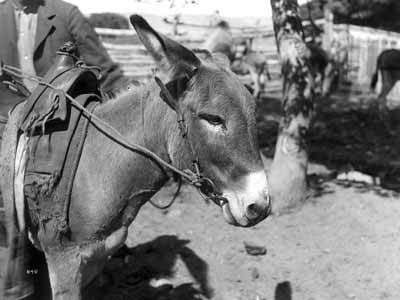 Below: A donkey (burro) wearing a slick fork saddle. About the photo: Black and white photo, circa 1900, part of the California Historical Society Collection. Public domain image.